"I have been leaving in Chino now for over 13 years and my husband and I were so worried when we first moved to the City that we were not going to find a good physician for eye exams. My husband picked Dr. Daniel Paul from a list provided to us by our health provider. My first visit didn't feel like my first eye exam. I was welcomed with organic conversation with Dr. Paul, Claudia, Virginia and Geenie (she is retired now). As soon as I walked away from the office that day and every year for my check ups, I feel like I just went to visit family. It's so comforting to know I can count on Dr. Paul and his amazing staff to make me feel at ease about any questions or concerns I may have about my family's vision. 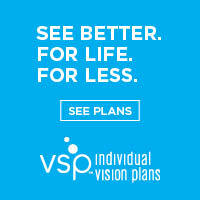 Dr. Paul continues to stay abreast with new technology as it relates to vision care. The staff are well trained and knowledgeable in their field. When you come and see Dr. Paul and his staff you get treated like you are the number one patient. I truly appreciate all the great care we receive from everyone who is a part of Dr. Daniel Paul Advanced Eyecare of Chino."